Hello! 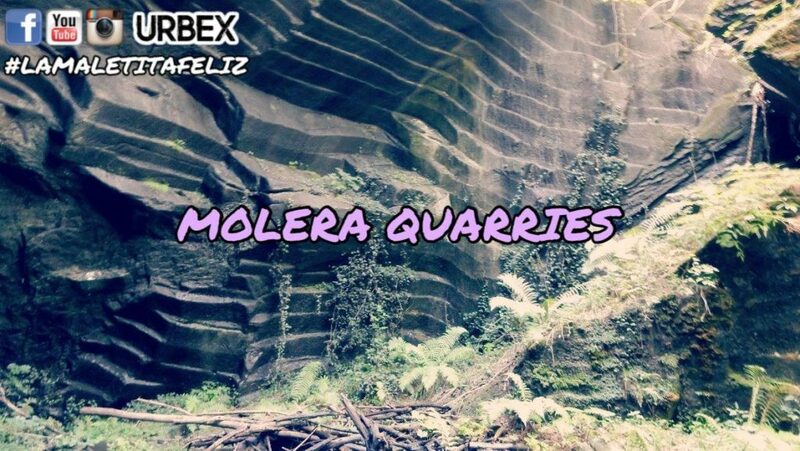 In this exploration I take you to the Molera Quarries, a group of caves located in the Lanza Park, between the province of Varese and Como. These quarries were used in the seventh century AD, when the material for building the walls of Castelseprio was built. Between 800 and 1930, the sandstone was used to make decors for churches and buildings, wheels for mills or wheels for grinders (hence the name Molera Quarries). It was impressive to see all the marks left by the chisels of the miners, who undoubtedly worked without any modern support, but most likely used the help of boats to transport the heavy material. To confirm this theory were the remains of a small pier found inside a cave. With their constant work the quarries reached a height of about 50 meters and a width of 30. This material contributed to the wealth of the Varese area until 1930, when the last cave was abandoned to use synthetic materials much more resistant than the sandstone. The particularly humid environment of these caves has created a real ecosystem consisting of frogs, salamanders and other animal species. The cave route is between two mills, the Bernasconi and the Trotto, which can still be visited for educational purposes. In the 90s the Regional Government of Lombardy decided to protect the conservation of this environment by establishing the “Naturalistic system of the Molera quarries of Malnate and Cagno”. It is an exploration within everyone’s reach: during my urbex I met a family with young children in tow. It will be a real pleasure to immerse yourself in nature.